We are extremely happy to present the forthcoming latest work of Alfons Rodriguez and Jose Bautista. As you know, Alfons (one of the founding fathers of Shoot4Change and currently leading S4C Spain Team) is one of the most respected and highly appreciated social documentary photographers in Spain and worldwide. 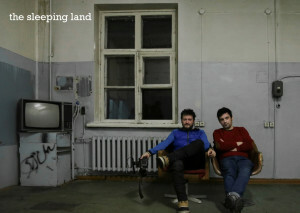 The Sleeping Land is an intimate voyage, a ode to daily routine and an evocative litany and to clarify our perception of unknown everyday 28 Siberian people and their issues. One hundred years have passed since the Czarist regime was overthrown by the Russian Revolution of 1917. Yet one hundred and thirteen years have gone by since the Trans-Siberian railway line was inaugurated: almost 10.000 km from Moscow down to eastern Asian Vladivostok bordering the Sea of Japan. In this enormous geographic and human context overlapped by current Russian social fabric, the authors of this independent documentary film lead us through simple, melancholic, mundane or dramatic stories using the train as a metaphor. In essence: the journey through Life itself. An intimate, epic voyage in which the two documentalists do not intend to thoroughly map modern day Russian society but to paint a much more subtle landscape of personal experiences drawn from the people they encounter daily. These are the protagonists of this incredible adventure describing fragments of their past and present lives and guessing at what the future may hold for them. They speak directly to the camera, reaching out to the spectator, sharing their joys and sorrows. All this takes place in the Russian taiga during a harsh and bitter Siberian winter. Nothing else except the forests and the occasional villages and cities in the middle of nowhere.